What types of glazing are available? 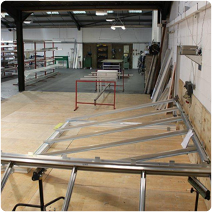 It is here the roof glazing plays a vital role. 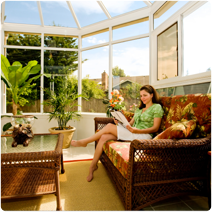 Two types of glazing are usually used in conservatory roofs- polycarbonate or glass. 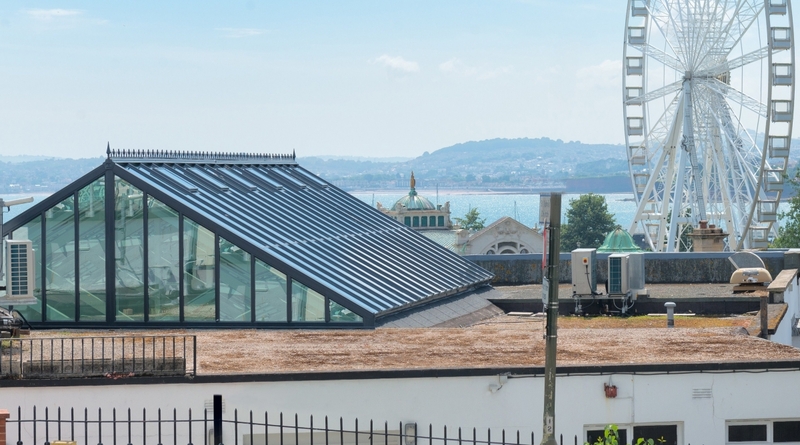 The Aztec system can accommodate 25mm and 35mm polycarbonate with 35mm being the most popular option due to its increased thermal and sound insulation, achieving a u-value of up to 1.5. Clear, opal and bronze shades are available with a ‘heatguard option’ that is very effective against heat build-up. 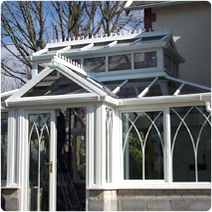 Over the last few years double glazed units have grown tremendously as the preferred option for glazing conservatory roofs. This is mainly because the problems of seeing ‘dirty’ roof glass and the risk of a ‘green house feel’ from adverse heat build-up have been eradicated by the use of high performance glass. Self-cleaning glass with coatings that protect from excessive heat from the sun and reflect energy back into the building have transformed conservatory roofing. Added to this, the cavity between the glass can be filled with Argon gas which improves thermal insulation even further and reaches u-values of 1.0.